There is no limit to how many of these can be eaten at a party. Seriously, I have not met a person who doesn’t devour them and want more. Kids love them too. My husband wants me to call them Devilled Mushrooms, but I can’t, because “devilled” means “heavily seasoned.” When I learned this, I was tempted to make them again and heavily season them, so that I could call them Devilled Mushrooms. A future post maybe. Mushrooms! I’m always keeping an eye out for bulk deals on mushrooms because of this recipe. 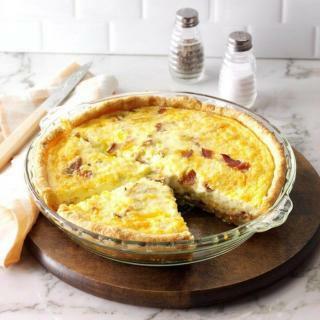 You’ll also need three slices of short cut bacon, light tasty (cheddar) cheese, light mozzarella cheese, light cream cheese and some fresh parsley or coriander. I prefer coriander (cilantro), but my coriander plant died about 8 seconds after I planted it. I wouldn’t say the parsley is thriving but I was able to harvest a few leaves. You should use more than I have here. Pop the stems out of the mushrooms. Button mushrooms actually work better than these because they hold their shape more than these swiss browns. Dice the mushroom stems finely and dice the bacon too (after trimming off the fat). Throw the bacon & mushroom stems into a bowl with half a block of light cream cheese, and about 75 g each grated light tasty and light mozzarella, and the parsley. Add some cracked pepper too. I put a little salt in as well, but it’s not really necessary because the bacon and cheeses are plenty salty. 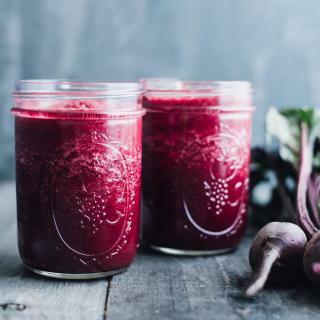 Mix it with your hands, rubbing the cream cheese into everything so it holds the rest of the ingredients together. Your hands will be a cheesy mess. 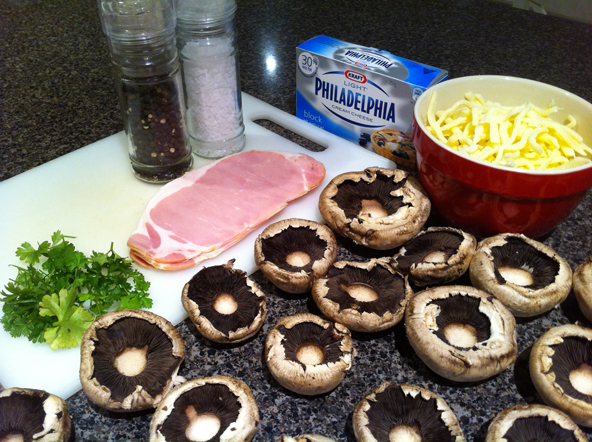 Then stuff each mushroom cup with about a tablespoon of the cheese mixture. 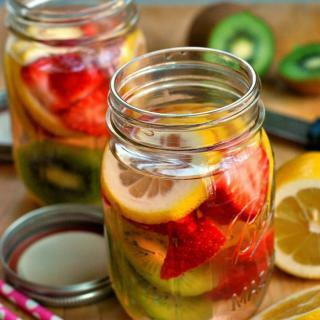 You can top them up at the end if you have any leftover. 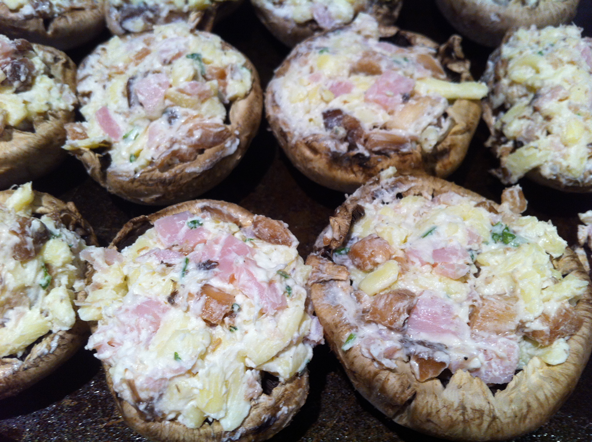 Bake them in a moderate oven for about 15 minutes, until the cheese is browned on top and the mushrooms are soft. These make a smashingly popular appetizer, but tonight I served them for dinner with salad & steamed veggies. Delicious. 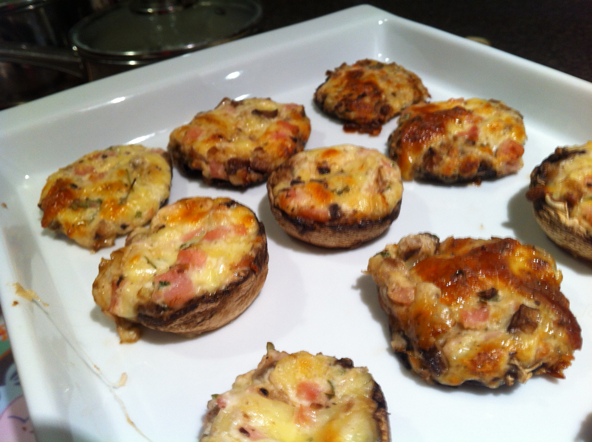 Stuffed Mushrooms Bacon Cream Cheese is actually a very nice recipe that is pork in the bacon gives a taste to the bacon is a must try. Pop the stems out of the mushrooms and finely dice the stems. 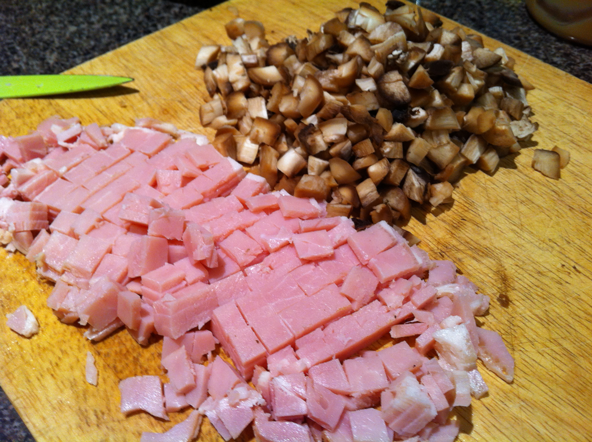 Finely dice the bacon too and put the bacon & diced mushroom stems in a medium mixing bowl. 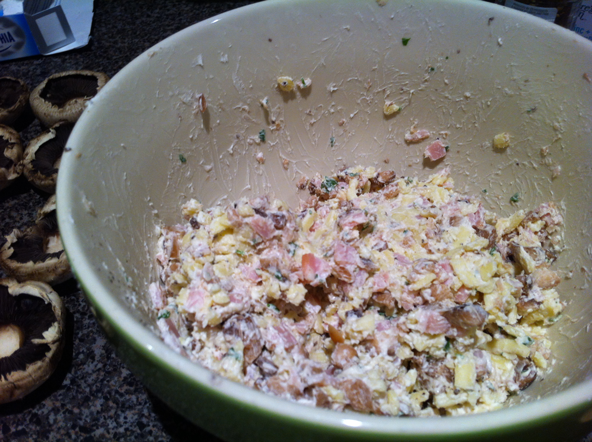 Add the cheeses and parsley; mix all the ingredients with your hands until well combined. Stuff each mushroom with about a tablespoon of the cheese mixture. 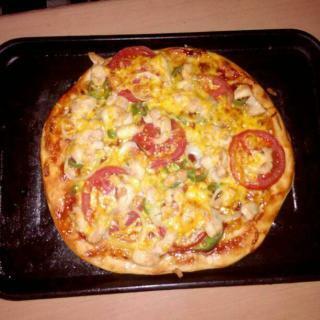 Bake for about 15 minutes at 180C. 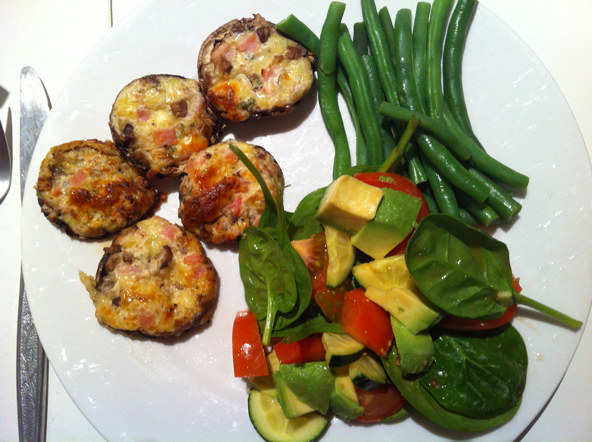 Stuffed Mushrooms We have told you about Bacon Cream Cheese recipe in 3 easy steps!